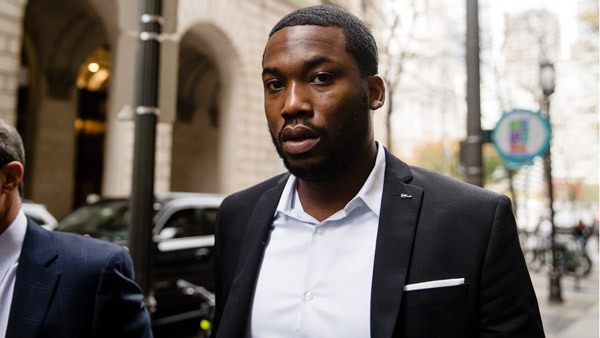 PHILADELPHIA (WPVI) -- A Philadelphia judge says Meek Mill will stay in prison because he's a "danger to the community." Common Pleas Judge Genece Brinkley on Friday denied a motion to allow the 30-year-old rapper to be bailed out of a Pennsylvania correctional facility. Mill's attorney says they plan to appeal her ruling, saying it continues a "long pattern of unfair treatment." Her decision comes after the state Superior Court last week told her to act "without further delay" on a 2-week-old request to free the rapper. Mill was sentenced last month to two to four years for violating probation on a roughly decade-old gun and drug case. Mill's probation officer and a prosecutor had recommended he not be jailed. His imprisonment has sparked backlash in opinion pieces, rallies, billboards and bus ads. Watch the report from Action News at 4:30 p.m. on November 14, 2017.